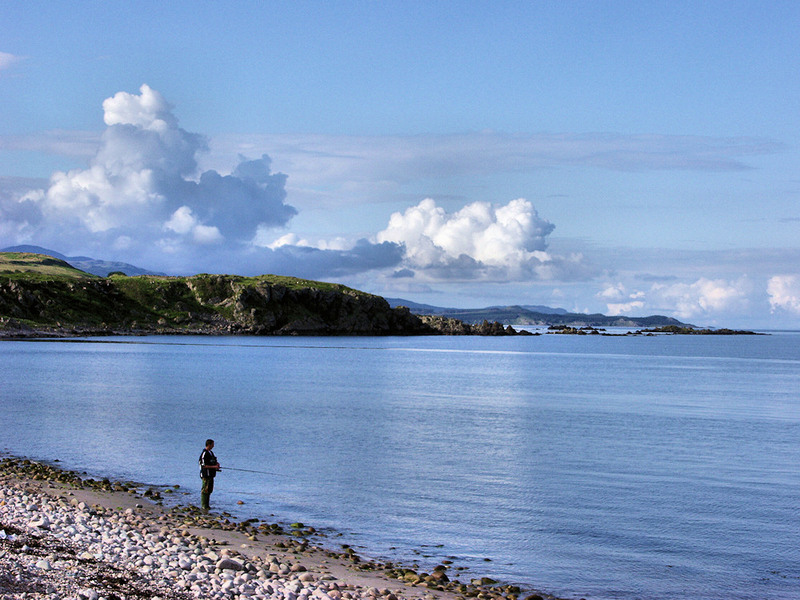 A beautiful summer evening in Claggain Bay in the south east of Islay, a lone angler fishing from the beach. This entry was posted in Beaches, Landscape, Repost, Sunny Weather and tagged Ardtalla, Claggain Bay, Islay by Armin Grewe. Bookmark the permalink.